New York, NY (January 22, 2019)—Today the NBCC announced its 31 finalists in six categories––autobiography, biography, criticism, fiction, nonfiction, and poetry––for the outstanding books of 2018. Of note: There are six finalists instead of five this year in autobiography proving a strong year in the category. And also notable this year the writer Terrance Hayes is a finalist in two categories for two separate books (in poetry for American Sonnets for My Past and Future Assassin and in criticism for To Float in the Space Between: A Life and Work in Conversation with the Life and Work of Etheridge Knight). Hayes has been a finalist in poetry twice before, for Lighthead (2010) and How to Be Drawn (2015). The winners of three additional prizes (The Ivan Sandrof Lifetime Achievement Award, The John Leonard Prize and Nona Balakian Citation for Excellence in Reviewing) were also announced. The National Book Critics Circle Awards, begun in 1974 and considered among the most prestigious in American letters, are the sole prizes bestowed by a jury of working critics and book-review editors. The recipient of the Ivan Sandrof Lifetime Achievement Award is Arte Público Press. 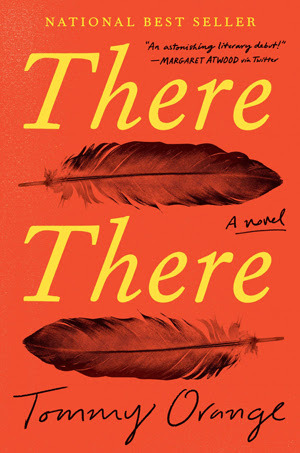 Tommy Orange, author of There There, is the recipient of the fifth annual John Leonard Prize, established to recognize outstanding first books in any genre and named in honor of founding NBCC member John Leonard. Finalists for the prize are nominated by more than 600 voting NBCC members nationwide, and the recipient is decided by a volunteer committee of NBCC members. The recipient of the 2018 Nona Balakian Citation for Excellence in Reviewing is Maureen Corrigan. The Balakian Citation is open to all NBCC members, who submit recent reviews to the 24-person board, which votes on the recipient. The Balakian Citation carries with it a $1,000 cash prize, endowed by NBCC board member Gregg Barrios. Maureen Corrigan, book critic for NPR’s Fresh Air, is The Nicky and Jamie Grant Distinguished Professor of the Practice in Literary Criticism at Georgetown University. She is an associate editor of and contributor to Mystery and Suspense Writers (Scribner) and the winner of the 1999 Edgar Award for Criticism, presented by the Mystery Writers of America. Her book So We Read On: How The Great Gatsby Came To Be and Why It Endures was published by Little, Brown in September 2014. Corrigan’s literary memoir, Leave Me Alone, I’m Reading! was published in 2005. Corrigan is also a reviewer and columnist for The Washington Post‘s Book World, and has served on the advisory panel of The American Heritage Dictionary. Tommy Orange is a graduate from the MFA program at the Institute of American Indian Arts. He is a 2014 MacDowell Fellow, and a 2016 Writing by Writers Fellow. He is an enrolled member of the Cheyenne and Arapaho Tribes of Oklahoma. He was born and raised in Oakland, California. Arte Público Press is the oldest and largest publisher of Hispanic literature in the United States. Founded 40 years ago by Dr. Nicolás Kanellos, and currently based in Houston, Texas, Arte Público publishes dozens of books by Latino writers each year in both English and Spanish, including titles under its children’s literature imprint, Piñata Books. In 1992, Arte Público began its Recovering the U.S. Hispanic Literary Heritage Project, which seeks to recover and publish lost texts from Latino writers from colonial times to the mid-20th century. Arte Público was the original publisher of Sandra Cisneros’ legendary novel The House on Mango Street. 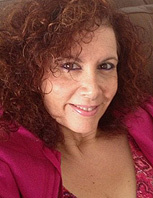 Other authors published by Arte Público have included Helena María Viramontes, John Rechy, Ana Castillo and Luis Valdez. Arte Público’s determination to build bridges, not walls, has immeasurably enriched American literature and culture. The National Book Critics Circle was founded in 1974 at New York’s legendary Algonquin Hotel by a group of the most influential critics of the day. Comprising 750 working critics and book-review editors throughout the country, including student members and supporting Friends of the NBCC, the organization annually bestows its awards in six categories, honoring the best books published in the past year in the United States. It is considered one of the most prestigious awards in the publishing industry. The finalists for the NBCC awards are nominated, evaluated, and selected by the 24-member board of directors, which consists of editors and critics from the country’s leading print and online publications. For more information about the history and activities of the National Book Critics Circle and to learn how to become a member or supporter, visit http://www.bookcritics.org. Follow the National Book Critics Circle on Facebook and on Twitter (@bookcritics). This entry was posted on Thursday, January 24th, 2019 at 6:00 AM and is filed under Best Books of the Year. You can follow any responses to this entry through the RSS 2.0 feed. Both comments and pings are currently closed.